The history of Browder’s Towing & Service Center dates back to 1975. 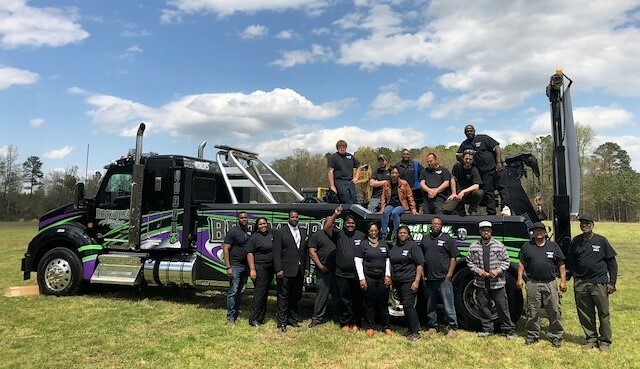 Jerry Browder, proud owner, worked as a mechanic for a local repair operation in the early 70’s called Nunnally Auto Repair & Sales located in Petersburg, VA. Jerry always encompassed the entrepreneurial spirit and had all the tools to venture out on his own. After saving up hard earned capital, Jerry finally seized his opportunity by opening his own repair operation in 1975. The operation was small scale and operated out his residence. Little did he know what the future would hold and his vision has resulted in 43 years of a thriving business. The Browder crew takes pride in their success. 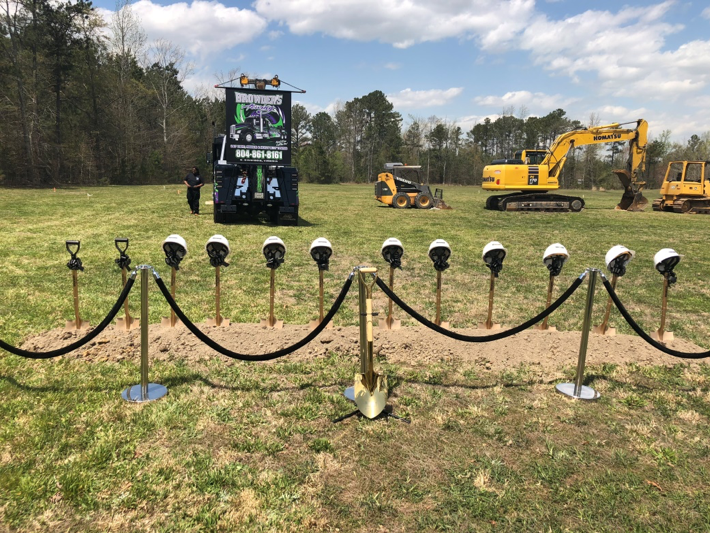 On Thursday, April 19th 2018, The Browder family hosted a Groundbreaking Ceremony to celebrate their new state-of-the-art repair facility. 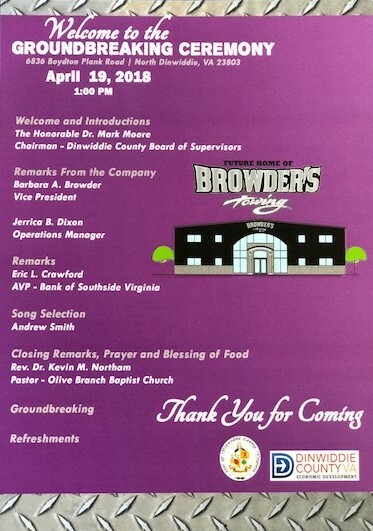 Having worked with the Browder Family for years, we were invited to this momentous occasion. To no surprise, the ceremony was well executed and the display of camaraderie was overwhelming. Friends and family across the community showed up to support, along with members of the Dinwiddie County Board. The ceremony was unique in such a way that everyone in attendance left with a sense of accomplishment and shared the success of the Browder Family. If you know the Browder’s, then you would understand that this is exactly how they wanted everyone to feel. Their roots run deep and their morals are of high quality. 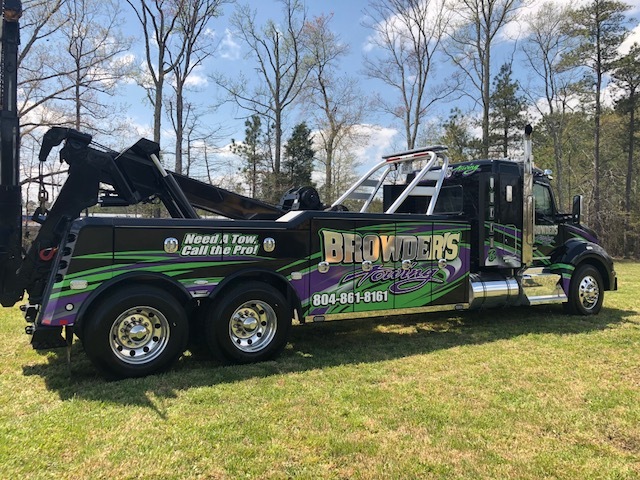 Since inception, Browder’s Towing & Service Center boasts a fleet of 13 tow trucks & 3 service vehicles. Pictured here is their most recent addition to the fleet “Queen B,” which is named after Jerry’s wife, Barbara. We must note that every tow truck has a designated name. Some unique names include: Show Tyme, Brick House, & Blue Magic. If you see one of their tow trucks, you will find them clean and in excellent condition! The detail of the ceremony spared no expense. 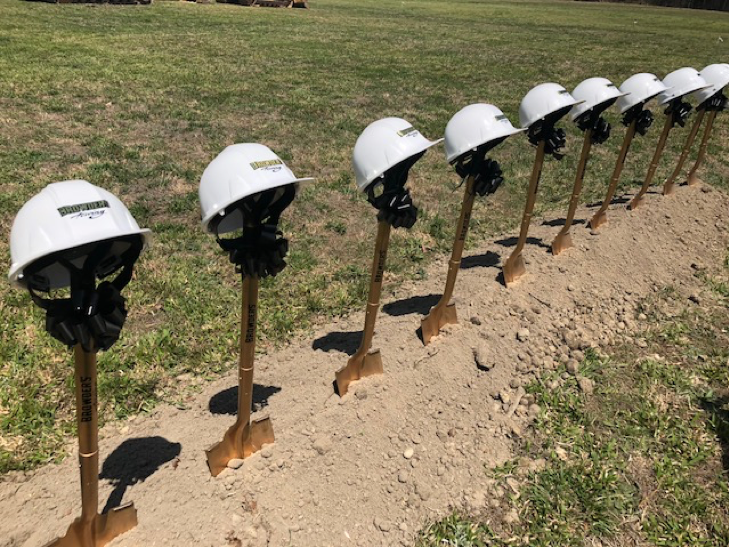 Even the hard hats and shovels were customized with the Browder’s emblem. Equipment is set up and ready for construction! Floral arrangements and eye catching displays were spread throughout. Not one person left with an empty stomach. The catered food was superb! One of many delicious desserts! Jerry Browder with his wife Barbara & daughter Jerrica.